Monday -Friday: 8:30 a.m. – 5:00 p.m. Since 1999, F&M Mortgage, an affiliate of F&M Bank, has been providing local mortgage services to the Harrisonburg community. 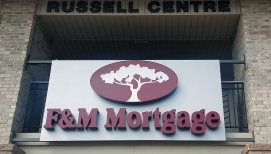 Located in the Russell Centre office park, our office is on the second floor of 2040 Deyerle Ave. We are a full-service mortgage company with a full suite of mortgage and home loan products. You can begin your home buying journey with a pre-approved application from the bank’s mortgage lender Kitty Purcell and finish the process with our friendly and experienced team. As a true community lender, F&M Mortgage has a deeper purpose that includes mortgage lending but also extends to making a difference in the Harrisonburg community where our customers and employees live and work. We are committed to playing a role in the creation of vibrant neighborhoods by supporting local charities and organizations. Some of the causes F&M Mortgage and its employees support include iExplore More Discovery Museum, Harrisonburg-Rockingham United Way, and Big Brothers Big Sisters. If you’re looking for Harrisonburg home loan and mortgage lenders, there are many advantages to choosing a locally owned and operated company. Our knowledgeable mortgage advisors possess the kind of local expertise you won’t find at a national lender. We understand the particulars of the Harrisonburg real estate market and all of our underwriting is made locally with the help of our regional insight. And in addition to competitive rates, we also have a wide variety of loan programs to fit different people and circumstances from home buying to refinancing and reverse mortgages.